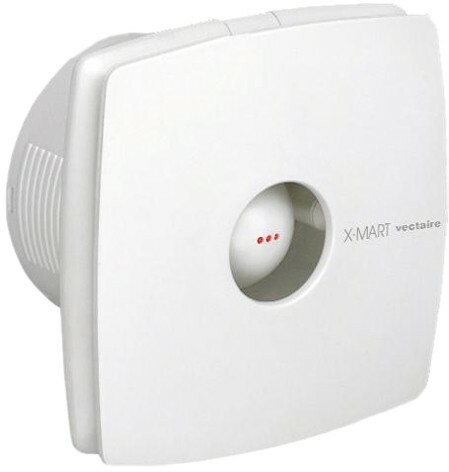 Vectaire X-Mart > Timer Extractor Fan. 100mm (White). X-Mart extractor fan with overrun timer in white. 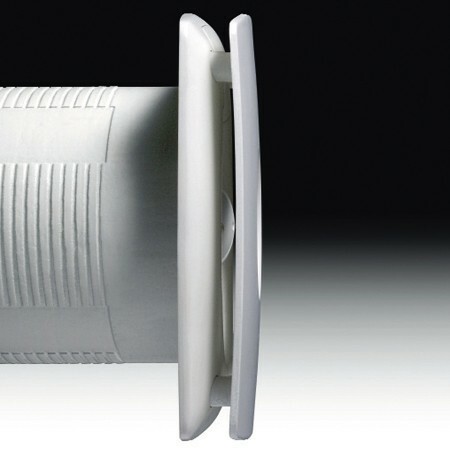 100mm Outlet diameter. Adjustable overrun timer: 3-15 minutes. Single speed axial unit operated by a remote switch, normally the lighting circuit or a pull cord (not supplied). Indicator light to show when operating. Front cover easily removed (no screws) for cleaning. Quick fit installation system for walls and ceilings. Double insulated motors of shaded pole type mounted on self-lubricating, sealed ball bearings for long life. The Vectaire X-Mart range of extractor fans axial fans are designed to exhaust air and fumes directly outside or through short lengths of ducting. The Vectaire X-Mart range can be installed in toilets, shower rooms, bathrooms, utility rooms and kitchens. Available with standard or automatic grille the X-Mart will complement modern bathrooms or kitchens. Vectaire Ltd is a market leader in ventilation products, with over thirty years in the air movement industry. Vectaire ventilation products provide the best in features and comfort, and are highly energy efficient to help protect the environment.